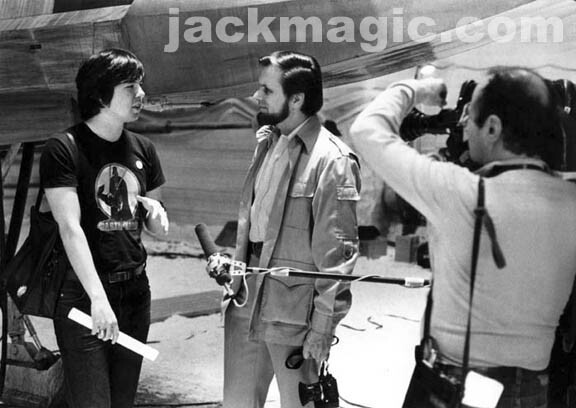 Apparently I'm expressing something profound to Gary Kurtz while a camerman shoots footage of us for a documentary. The roll of paper in my hand has autographs of the cast and production staff. Oh, and by the way, when no one was looking, I carved my initials in one of the styrofoam ice cavern walls. And they thought I was well behaved. Ha!